If the opponents of Recep Tayyip Erdoğan hope to unlock his increasingly autocratic grip on power, they need to join forces, then work to divide the ruling AKP. It’s a bridge too far to say that the Turkish opposition is responsible for a decade and a half of losses to Recep Tayyip Erdoğan. But there’s no doubt that his opponents certainly haven’t posed an effective brake on Erdoğan’s accelerating chokehold on Turkish democracy. 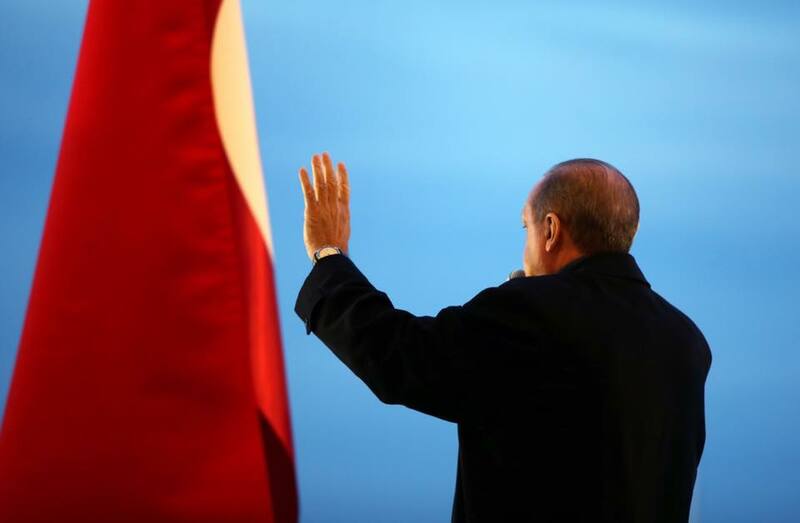 Turkish voters, according to official tallies, narrowly approved sweeping changes to the Turkish constitution on April 16 that bring far more powers to the Turkish presidency with far fewer checks and balances against the newly empowered executive. This was always Erdoğan’s plan. It was his plan in August 2014, when the longtime prime minister stood for (and won) the presidency, introducing a de facto presidential system in Turkey. Prime minister Binali Yıldırım essentially serves at the pleasure of the Turkish president today. Prime minister Ahmet Davutoğlu is now set to lead a majority government in Turkey. (Facebook). Though there’s plenty to be pessimistic about in the five months since Turkey’s last parliamentary election in June, the result in today’s repeat snap elections is perhaps the best possible outcome for the various domestic and international actors with a state in Turkey’s continued stability. The Adalet ve Kalkınma Partisi (AKP, the Justice and Development Party), the conservative Islamist party that has dominated Turkish politics since 2002, scored the most crushing victory in its history — more than when it initially came to power and more than its prior peak in the 2011 elections. That’s despite a turbulent election campaign marred by an early October suicide blast in the capital city of Ankara, the deadliest terrorist attack in the history of the modern Turkish republic. With 99.00% of all votes counted. Though the AKP will not win the two-thirds majority that it hoped for to enact the constitutional changes that president Recep Tayyip Erdoğan wants to rebalance powers away from the national assembly and to the presidency, the result gives the AKP a clear mandate to govern without seeking a coalition partner. The AKP’s path to a majority victory wasn’t pretty, and there’s a compelling case that Erdoğan has seriously damaged his legacy and, he further undermined the rule of law, fair elections, internal security and press freedom over the past five months. 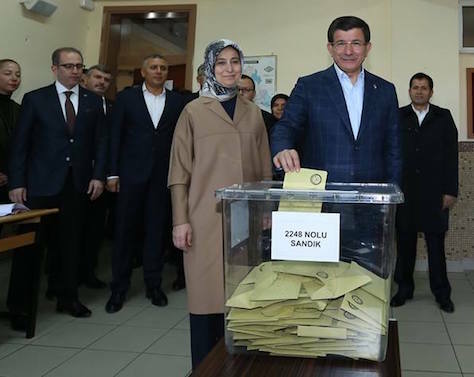 But the victory means that Turkey will not face a third election in the spring and all the destabilization that another months-long campaign period would mean. Most surprisingly, the AKP managed its overwhelming victory while the leftist, Kurdish-interest Halkların Demokratik Partisi (HDP, People’s Democratic Party) still won enough support to win seats in the national assembly. That feels like something of a miracle, given the increasingly tense atmosphere across southeastern Turkey, where polling took place under conditions of near civil war between Turkish military forces and the radical guerrilla group, the Partiya Karkerên Kurdistanê (PKK, Kurdistan Workers’ Party). While HDP leader attorney Selahattin Demirtaş has called for a peaceful approach to the fight for greater Kurdish autonomy, AKP officials, including Erdoğan and prime minister Ahmet Davutoğlu have tried to tie the party to the more militant PKK as a years-long ceasefire, the product of advanced peace talks between the Turkish government and PKK leaders, unravelled in July in the wake of a suicide bombing in Suruç (and attributed to the jihadist ISIS/Islamic State/Daesh). 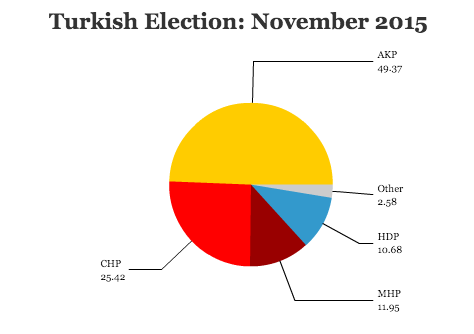 Turkey’s hurdle rate for winning seats in the national parliament is 10%. 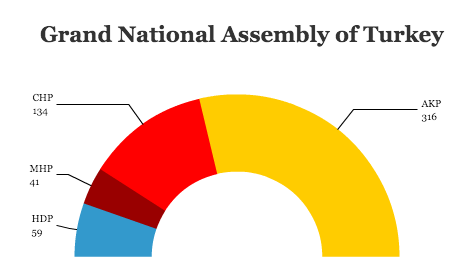 That means, with around 10.6% of the vote, the HDP is entitled to 59 seats, but with just 9.99%, the HDP would have won exactly zero seats. The latter outcome, just five months after the HDP celebrated the first time an expressly Kurdish party won seats in the Turkish assembly, would have greatly undermined Demirtaş’s argument that Turkish Kurds can work through the democratic system for greater autonomy, self-government and other minority rights. Who is Bülent Arınç? And why is he the man of the hour in Turkey? It’s Wednesday, and Turkey’s pulled back from the brink of political chaos that engulfed it over the weekend. That’s in large part to the efforts of Bülent Arınç (pictured above), Turkey’s deputy prime minister, whose attempts to bring the level of confrontation between Turkey’s government and protesters in Gezi Park near Istanbul’s Taksim Square and beyond have been successful where the Turkish prime minister, Recep Tayyip Erdoğan, has failed. Erdoğan, who is out of the country this week, flew to Morocco on Monday and will be in Algeria and Tunisia until Thursday, may have been lucky in his timing, as Arınç has been acting prime minister this week. His absence from the country has been fortuitous, given the fact that his statements in response to the weekend’s crescendo of protests has been defiant in virtually every respect after turning police onto protesters in Taksim Square with brute force and tear gas before ultimately pulling police back. Whether it’s a concerted ‘good cop / bad cop’ venture or not, it’s a welcome breather in what had until Monday had been some of the most difficult moments of Erdoğan’s government since his first election in 2002. 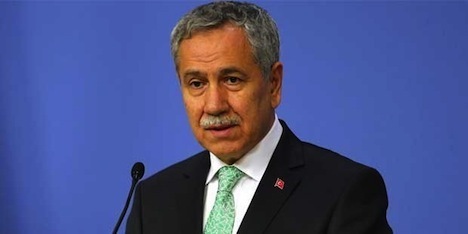 Arınç, in contrast, has made all the right moves to protesters that Erdoğan could not last week and through the tumultuous weekend that saw two deaths and around 1,000 injuries in protests that expanded from Taksim Square to all of Turkey. He’s apologized on behalf of his government for excessive police force, he’s admitted that the initial protests were ‘rightful and legitimate.’ Though DİSK (Confederation of Progressive Trade Unions of Turkey) and KESK (Confederation of Public Workers’ Unions), two of the four major labor unions in Turkey, will officially join the protests today with strikes, Arınç has for the time being successfully defused the political crisis. The protests will continue, but by acknowledging the fundamental rights of Turkish protesters to gather, Arınç has averted Turkey from a wider confrontation — for now. Arınç helped found the current governing party, the Adalet ve Kalkınma Partisi (AKP, the Justice and Development Party), an Islamist and socially conservative, albeit economically neoliberal, party. He was the speaker of Turkey’s Türkiye Büyük Millet Meclisi (Grand National Parliament of Turkey) from 2002 to 2007, and since 2009, he’s been a member of Erdoğan’s cabinet as one of three deputy prime ministers and the minister in charge of Turkey’s state radio and television company. The conciliatory steps came largely in concert with the statements of Turkey’s president, Abdullah Gül, himself a former foreign minister and top official in Erdoğan’s past governments. 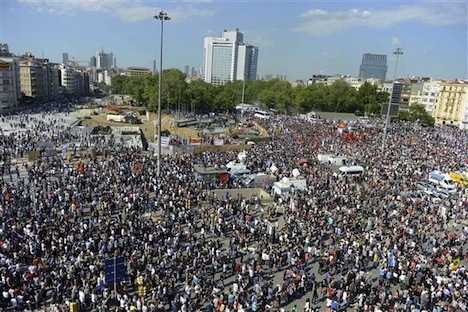 In recent days, Gül has also taken a more conciliatory view of the protests, in contrast to Erdoğan, who hopes to succeed Gül next year in Turkey’s presidential election. Though Gül cannot run for reelection, Erdoğan hopes to transition from leading the Turkish government to assuming a presidency with enhanced powers. Though Gül, Erdoğan and Arınç are allies, Gül and Arınç have obviously chosen to respond to the protests in a manner quite differently than Erdoğan, and they are set to meet some of the protesters later this week while Erdoğan remains in North Africa. Gül on Monday essentially praised the protesters for asserting their rights, and he noted that democracy means more than just the act of voting a government into power, adding that Turkey’s leaders had received the message. Despite their statements, Erdoğan remains the prime minister, and others remains unconvinced, with good reason, of Arınç’s mea culpa, during which he noted that the Turkish government could have shut down Twitter (but judiciously chose not to), demonstrating that Arınç may not have quite fully taken on board the message of Turkey’s protesters. Arınç is certainly no liberal, and he may well be taking his stance solely due to internal AKP politics — the events of the past week in Taksim Square and Erdoğan’s response have put a damper on his presidential plans. The proof of the pudding is in the eating, and the next key moment is Friday, when Erdoğan returns to the country. Even though the demonstrations and strikes will continue today and tomorrow at a relatively reduced tension, and Erdoğan’s opponents have truly substantive critiques about the level of freedom (especially with respect to political expression and a free press), it will be intriguing to see if Erdoğan responds with the same tone that Gül and Arınç have now adopted. 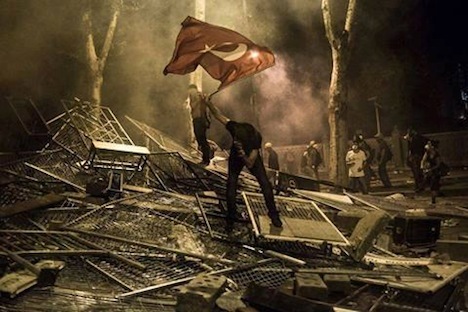 The images from Taksim Square over the past week, culminating in conflict between protesters and Turkish police authorities, have stunned a global community that’s used to thinking of Turkey — and, in particular, Istanbul — as a relatively tranquil secular meeting point of East and West. Although I’ve not written much about Turkey through Suffragio, it’s a fascinating country that I was delighted to visit in 2010, at the height of the glory days of the government of its current (and now embattled) prime minister Recep Tayyip Erdoğan. Ultimately, there are two questions at issue here: how to evaluate Erdoğan’s performance prior to the recent protests, on the one hand, and how to evaluate Erdoğan’s performance during and in response to the protests, on the other hand. Although Western commentators have increasingly argued of Erdoğan’s move toward increasing Islamization and authoritarianism, I worry that those calls misunderstand the depth of Erdoğan’s support and the nature of what modern Turkey (it is, after all, a country that’s over 98% Muslim) has become today. But it is impossible to watch Erdoğan’s repression of basic political freedoms, such as his government’s recent moves to disrupt a planned May Day protest, and the ongoing brutal police response to the Taksim Square and increasingly, nationwide, protests without admitting that whatever legitimacy Erdoğan once enjoyed is rapidly dissipating, and Erdoğan, his government, Turkey’s president, Turkey’s military, and Turkey’s awakened — and rightfully angry — protest movement, are all trapped in a suddenly perilous standoff. It’s all the more fragile given the ongoing civil war in Syria. Not only has the Erdoğan government been unsuccessful in persuading one-time ally Bashar al-Assad to pursue a more moderate course, the growing number of refugees from Syria within Turkey’s borders means that Turkey risks being drawn into a wider regional conflict (though, in one of the few humorous asides to the ongoing protests, Syria has now issued a travel warning for Turkey). When Steven Cook wrote in The Atlantic earlier this month, that ‘while Turkey is perhaps more democratic than it was 20 years ago, it is less open than it was eight years ago,’ I had two initial reactions. First and foremost, shouldn’t we care more, from a pure governance standard, that Turkey’s government is representative and responsive to its electorate than it hews to some Westernized standard of ‘openness’? What does ‘less open’ even mean? Secondly, when Cook laments Turkey’s ‘less open’ nature, he doesn’t equally lament that the European Union virtually slammed the door in the face of Turkey’s application to join the European Union in 2005, when despite the opening of negotiations for Turkish accession, it became clear any road for Turkey’s EU membership would be long and arduous. It may be difficult to remember today, but it’s a push that Erdoğan’s government made even more passionately than the governments that preceded it. 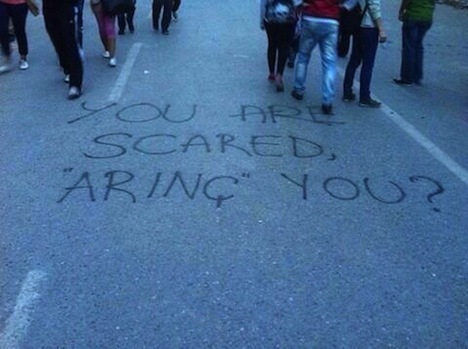 Turkey, let’s be clear, didn’t leave Europe. Europe left Turkey, which has focused on becoming a more important regional player in the Middle East in recent years. But Cook, and similar analysts, I fear, are not placing enough weight on the fact that Erdoğan has delivered Turkey’s most responsive and democratically accountable government since the foundation of the modern Republic of Turkey in 1923. And when I read critiques of Erdoğan that cast him as a modern-day ‘sultan,’ I have to cringe because it’s intellectually lazy for opponents to slap Orientalist labels on Erdoğan simply because they disagree with his policy choices. The Economist on Sunday trumpeted a foreign diplomat who argues that ‘this is not about secularists versus Islamists—it’s about pluralism versus authoritarianism,’ though the question remains — pluralism compared to what? The governments that came before Erdoğan? Some Western fantasy of what Turkey’s government should be? Erdoğan is neither a sultan nor a dictator, but the duly elected leader of Turkey’s government for over a decade, enjoying the repeated success of consecutive democratic victories in election after election.